Are you a Tokyo-based executive interested in building a more innovative culture in your organization? Why do Managers need to think like Designers? Managers face increasingly complex problems and ambiguous situations. Economic volatility, rapid technological change and increased regulations introduce unexpected challenges and opportunities each day. Navigating these challenges requires new skills, mental agility and the ability to envision change. Are you prepared to lead? Thinking like a designer, combined with traditional management skills, creates the balanced perspective needed to gain competitive advantage to effectively identify opportunities, strategically plan new initiatives and implement innovative change. This program is sponsored by the Temple University Japan Campus, Executive MBA Program in collaboration with the Center for Design and Innovation of the Fox School of Business. Tomorrow I am heading to the Weatherhead School of Management at Case Western Reserve University to lead a group of 25 executives through a course introducing how to use drawing and modeling to enhance business operations, strategy and management decision making. To learn more about the course visit the Weatherhead Executive Education site. Today I wrapped up 2 weeks of teaching Executive MBAs in Tokyo and I am reluctant to start packing my suitcase. The trip and experience have far exceeded my expectations. On Thursday, 19 March, I gave a public lecture on building a culture of innovation in business organizations using lessons learned from architects and designers. The audience responded enthusiastically to the potential for design to radically transform business culture. My students, all working professionals, also expressed many of the same sentiments. For them, the time is right for change in Japan. Despite its ties to tradition, history and the past, there is a strong interest in innovation in Tokyo. Don't be fooled by the kimono. Are You a Design Thinker in Tokyo? Attorney - Zarwin Baum DeVito Kaplan Schaer Toddy, P.C. Counting down to the DESIGNchallenge, kicking off Friday February 20th. 20 teams will compete to envision a less auto-centric future for Philadelphia. 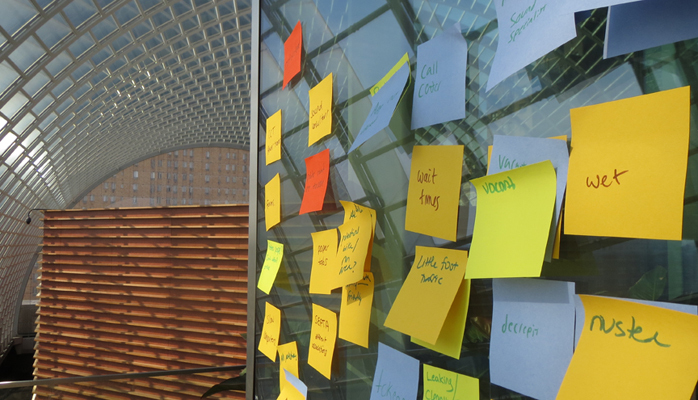 If you are in Philadelphia on February 25th, come to the Kimmel Center to see civic innovation in action. Philadelphia grew up around its dense, colonial street grid, which laid the perfect foundation for walkable, transit- oriented communities. This is one reason why Philadelphia is one of the top 5 cities in the country with commuters walking, biking, or using transit. And yet even with accessible transit, the 20th century ideal of car ownership persists. Philadelphians believe that we can do better. The American Public Transportation Association estimates that the average Philadelphia household can save close to $12,000 per year by eliminating one car and riding transit. These savings would help bolster struggling families, businesses, and communities across the city. The environmental dividend would also be significant – riding SEPTA reduces greenhouse gas emissions and improves air quality. How can we change our transit system and car culture to achieve the economic, social, and environmental dividends from a less auto-centric future?